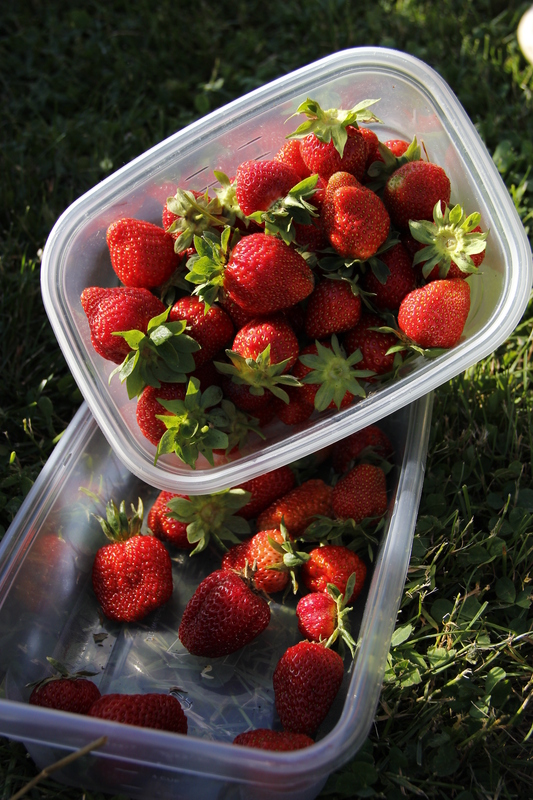 It’s a busy month of June around Cumberland County, besides farmers bailing hay and people picking strawberries there are several public events to make your summer a memorable one. Carlisle Events held the Carlisle Ford Nationals from June 6 to June 8, which brought in record breaking crowd. The master of the event was the Ford Mustang celebrating its fiftieth birthday. On display were Ford cars, trucks and tractors dating back to the early 1900s to 2015 pre-production models. On June 7, the Mustangs took to the streets of Carlisle showing the many changes the Mustang went through over its fifty years of production. Carlisle Events will be celebrating fifty years of the Pontiac GTO during its Carlisle GM Nationals taking place from June 20 to June 22. On hand, will be one of the two original iconic 1966 Monkeemobile created by the late Dean Jeffries. For more information on the event see the Carlisle Events Schedule. Last Saturday, Boiling Springs held its 28th annual Foundry Day event. This event takes place beside the Children’s Lake on Front Street and takes place the first Saturday of June. Today, June 19, is the 86th annual Jubilee Day event in Mechanicsburg. This is the largest one-day event on the east coast of the United States. The event takes place rain or shine. For more information see Jubilee Day. This weekend Monroe Township will host its 15th annual community day from 4 to 10 p.m. in Churchtown. The event includes raffles, craft and food stands, a petting zoo, and children’s games. The classic rock band, Cheap Sneakers will perform live music from 4:30 to 9:30 p.m. The event will culminate with one of the best fireworks display in the area at 9:30. Also taking place this weekend is the Hempt Farms Polo Match benefiting the Eagle Foundation. The location for the event is Hempt Farms Polo Grounds across from Cumberland Valley High School on the Carlisle Pike. The event starts at 5 p.m. and the gates open at 3 p.m. Cost is a $30 donation per car. For more information see The Eagle Foundation website. Wormleysburg will hold its annual River Day at the Pine Street Park on Saturday, June 28. This event is in celebration of the areas great resource, the Susquehanna River. The event includes rides on pontoon boats, kayak and paddleboard rides, and entertainment by local bands, food and games for the kids. The event takes place from noon to 5 p.m.
Saturday, June 21, Colonel Denning State Park will hold a snake hike. The park naturalist will educate participants on the common snakes found in Pennsylvania. Examples of the snakes will be on display at the Nature Center and participants will take a short walk to the beach area of the park to look for a common snake found at Colonel Denning. This event will take place from 1 to 2:30 p.m.
Saturday, June 21, The Historic Singer Band from Mechanicsburg will perform big band standards, show tunes, popular hits, novelty numbers and classical favorites. The concert will take place from 6:30 to 7:30 p.m. Bring a lawn chair or blanket. Sunday, June 22, two kayak events are scheduled for children and adults. For children under twelve, parents must supply a properly fitted life jacket. Participants will learn basic paddling skills. The type and number of kayaks vary depending on the times. Supplied below are two registration links for the scheduled event times. The kayak events are dependent on the weather. Participants meet at the boat launch near the lake. Friday, June 20 from 8 to 9:30 p.m. there will be a nocturnal amphibians’ hike led by a park naturalist who will explain the habits of nocturnal amphibians and have participants search for them in the dark. Participants meet at the campground amphitheater. Women’s backpacking 101 will take place at the park on Saturday; June 21 starting at 9 a.m. and will end at 3 p.m. on Sunday, June 22. On this adventure females ONLY will learn the basics of backpacking from an experienced female Appalachian Trail hiker. Participants will spend the night sleeping under the stars. The training will include learning how to choose and pack gear, backcountry cooking, proper food storage, map reading, trip planning, and the practice of Leave No Trace ethics. The program fee is $45, which includes food and transportation. For more information see Women’s Backpacking 101 at Pine Furnace. Monday, June 23 and Monday, June 30, beginning at 8 a.m. there will be three sessions of free beginner kayaking for ages twelve and up (for those 18 and under a parent or legal guardian MUST be present). Participants must bring drinking water, sunglasses, sunscreen and clothes for getting wet. Participants will meet at the lower parking lot of Laurel Lake. For more information call 717.486.7174 or see Free Beginner Kayaking. June 27, there will be a night hike and stargazing from 8:15 to 9:45 p.m. The one mile hike will take place on the Koppenhaver Trail. Sturdy boots or shoes and a flashlight required. Participants will meet at the Fuller Bath house. Wednesday, June 25, from 6 to 8 p.m. a briskly paced hiked, three to three and half miles, will take place. Hikers need to wear sturdy boots or shoes and bring water. There will be a twenty minute break along the trail where hikers can snack. The hikes are free and take place weekly. Hikers are to meet at the Kings Gap Hollow Day Use Area parking lot and will PROMPTLY depart at 6 p.m. If you have an event that takes place in Cumberland County, PA and would like me to include it in out and about events, please email me the event(s) information at the_wandering_pen@yahoo.com.